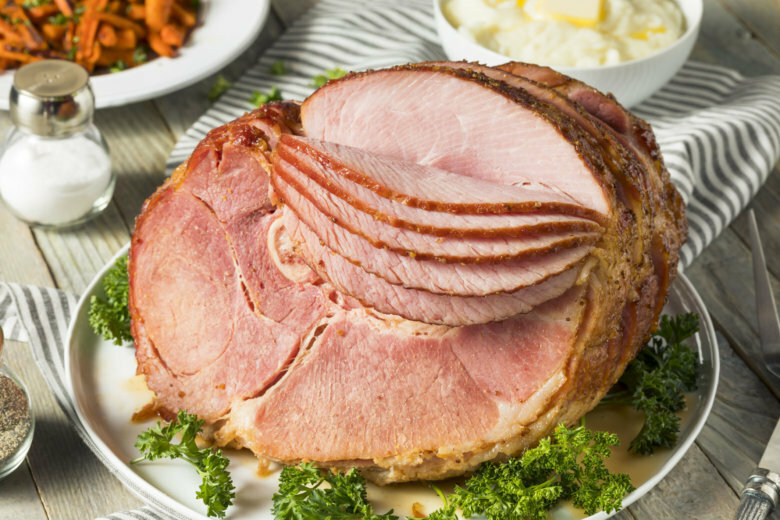 Federal officials have ordered a recall of ham products from a North Carolina company after investigators found listeria contamination, which led to one death. The hams were shipped to distributors in Maryland, Virginia, North Carolina, New York and South Carolina. WASHINGTON (AP) — Federal officials have ordered a recall of ham products from a North Carolina company after investigators found listeria contamination, which led to one death. The U.S. Department of Agriculture’s Food Safety and Inspection Service said Wednesday the ready-to-eat hams were produced by Johnston County Hams of Smithfield between April 3, 2017 to Oct. 2, 2018 and shipped to distributors in Maryland, North Carolina, New York, South Carolina and Virginia. The hams weigh between 7 and 8 pounds (3.1 kg and 3.6 kg) and carry establishment number “EST. M2646” inside the USDA inspection mark. See photos of the labels here. Department officials were notified last month that a person got sick after eating a Johnston County Hams product. An investigation confirmed four listeriosis cases, including one death, between July 8, 2017 and Aug. 11, 2018.